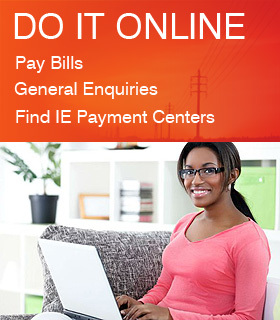 Why can’t offline prepaid meter customers vend anywhere except in Alausa? We are currently working on resolving this issue. Customers who are currently offline will be migrated to the online environment to enable them vend from any location. It’s my first time recharging my meter, how do I load my energy token? Activate your meter with the factory reset/key change tokens, by following the instructions given to you by our customer care team. Why can’t I load my energy token? This could be because you have not entered your energy token numbers correctly into the meter. If this is not the case, kindly contact our call centre for further assistance. This is a technical issue, kindly contact our call center to make a complaint. Why is my monitor displaying an Error E5 message? Your smart card or your monitor unit might be faulty. Kindly contact the call centre for further assistance. Why is my monitor displaying an Error E9 message? This could be as a result of the following; The monitor card is not properly connected to the meter or the monitor unit of the meter is faulty. Kindly contact the call centre for or visit our office for assistance. What is the cost of acquiring a new prepaid meter? Ikeja Electric Prepaid Meters are free. Currently PPM is not available for now, once it is an advert would be placed and customers will need to visit the closest Business Unit to acquire one. How can I get a prepaid meter? Please contact our call center or visit customer care centers for more information on our current process for acquiring meters.